Gas braai vs Wood braai? The burning question continues. As braai purists are all about the wood and sometimes the addition of charcoal, or charcoal alone, depending on a few variables, and the millennials who are focused more on the efficiency of the gas braai. This is a heated debate of (Gas braai vs Wood braai) as both have their place and both have pro’s in different situations. In terms of an actual South African “braai” and everything the word stands for, then perhaps there is no real debate as wood and charcoal are the obvious choices way beyond their cooking and heating attributes. Lets have a look at a few of the pro’s and con’s for the sake of cooking outside as most South Africans who enjoy a braai enjoy all the aspects of it including the fact that you can enjoy a lekker day/evening outside and can have a few drinks while cooking. Now if this is your vibe, which it should be considering where you are right on – on this website, then there will be times when cooking over fire and charcoal is not an option or is to much of a mission to get going. Such as during the week when it’s just you and perhaps your partner and its a lekker evening to sit out side and grill a few chops while on your limited time. In this situation gas can be an easier option while still giving you a few of the benefits of a traditional braai, like cooking outside, which is basically what a grill/BBQ is. *Now these are not the same thing and we recognise that but for arguments sake we have combined the two and will speak of the pro’s and con’s individually when necessary and together where it makes sense. Wood flavors your food better. It is a common agreement that when meat is cooked over wood it tastes better. This is due to the guaiacol aroma compound that is released when wood is burnt (Which is the cellulose responsible for holding strands of wood together). It has a spicy, smokey and some even say a ‘bacon’ type of flavor. This is also more prominent in your hard woods, especially sekkelbos and kameeldoring. When thinking about it, even if the taste was a placebo it wouldn’t really matter, wood it? – ha! There’s also the smokey flavour from fat drippings onto the meat. 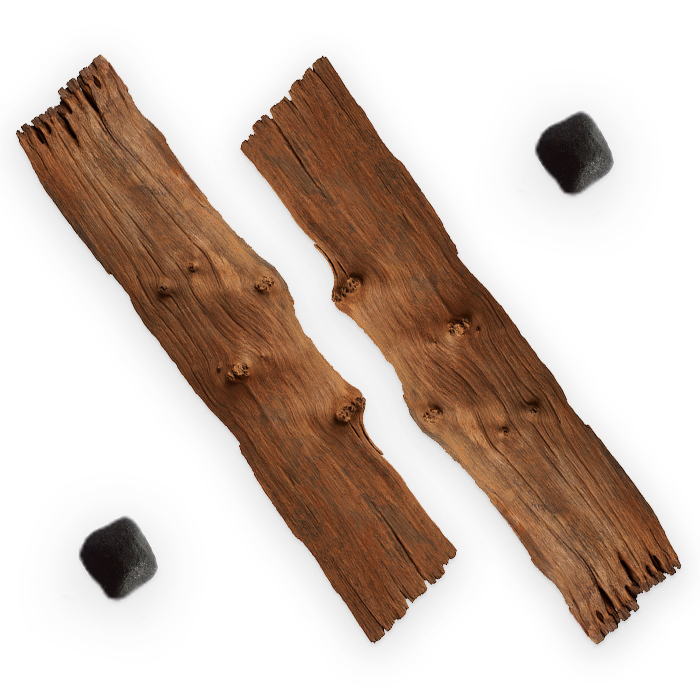 Wood and charcoal are always available and not to difficult to come by It’s easy, cheap and convenient. One of perks of living in South Africa. A quick trip down to your local grocery and/or petrol station will generally have at least 4 brands of charcoal and a variety of wood. Wood and charcoal burns hotter. A hotter fire is way better for your red meats as it allows for a crisp outside and a red/pink inside without overcooking the meat. Most (this does not mean all, some top end gas braai’s have tackled this problem) do not get hot enough to really get the required heat. TIME Now both wood/charcoal and gas will have a time aspect, and they both work in opposites. With braai’ing, the longer the better. There’s nothing more satisfying than sitting around the fire with a drink in hand waiting for the perfect moment(Which requires skill) to put the meat on.This is part of the South African braai experience. Food is a simple byproduct of the braai experience. It retains flavour and moisture better than most gas braai’s. A wood fire is more environmentally friendly. Unless it’s natural gas. No matter how often you braai the amount of damage you are doing to the environment by using one of other is so minute compared to your car, for example. Convenience and cleaning Even though it’s part of the whole experience, cleaning out the used coals and maintaining your charcoal braai can be a messy exercise. Especially because charcoal stains are not the easiest thing to clean and I know from personal experience that even the Weber can be a serious mission to clean. The cleaning style of the charcoal braai and the gas braai are different and it all depends on your method and how clean you like to keep your equipment. Different food types need different temperature to cook correctly Unfortunately for most, knowing the right temperature to cook on for your various meats and sides can be a quite a lesson to learn. Even though this is possible, to the braai master. For us normal, learning folk it’s not so easy. Controlling the temperature is something that takes years of experience. Another factor is that a charcoal/wood braai looses temperature over time, which is tough when you are cooking a large amount of meat and need the temperature to remain constant. Lastly most charcoal braai’s do not come with a temperature gauge, for those more scientifically inclined. Working on an open fire can be dangerous This is the least important con as most of us know how to handle a braai fire but its worth noting that an open fire can be dangerous, especially in the bush and around kids. Its convenientOne push of a button and you are basically good to go! This is definately the most applicable pro to using a gas braai, it’s convenience. For those last minute decisions after work during the week, a “braai” for two while you still have a few hours left of the day to enjoy at least some of the elements of a traditional braai, being the fact that you are outside(Most people don’t see this as an important factor but I can’t see how not?) and you can socialise with your loved ones while cooking. Not quite the kitchen environment and not quite a full on braai but I think for most its definately a decent substitute before the weekend for the real thing! It’s also easier to set up, maintain and store compared to a charcoal braai. Temperature Control on various levels One of the best things about a gas braai for those who are into cooking to the books, is that with a gas braai you can control the temperature on multiple surfaces, allowing one to cook a variety of meats and sides at the same time without much effort. There are also temperature controls and many other accessories that make using a gas braai exciting. This also allows for a constant temperature meaning you can cook more for longer and not have to worry about feeding the fire. You can use different heat zones for various foods. Safer in small areas Because there is no open fire there is no flare-up, decreasing the danger factor. 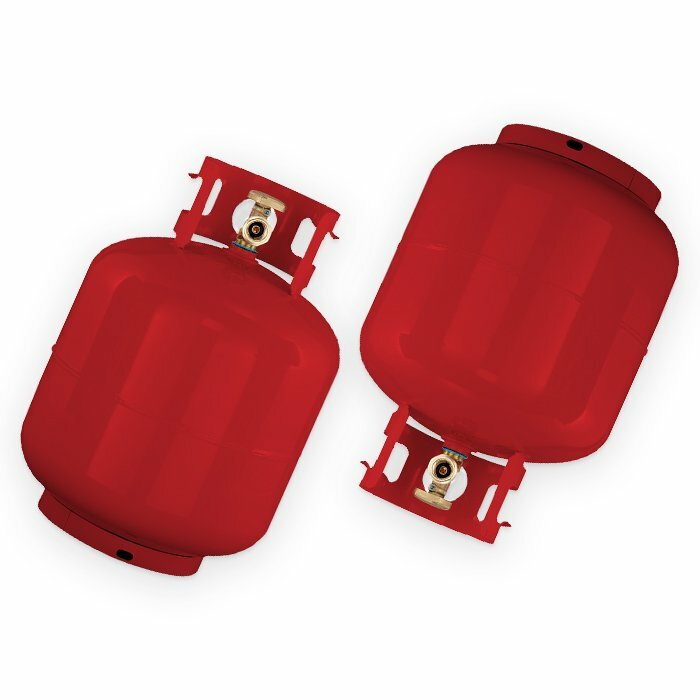 The only dangerous thing about using gas is where you get your gas and making sure it’s not dodgy as this has occurred in the past, so always double check your gas. Some people are scared of using gas but there’s isn’t much to be afraid of if you know what you are doing. ACCESSORIES All men like their toys and accessories and even though accessories exist for both wood/charcoal and gas, as gas is a more contemporary form of cooking it does have a far greater amount of add-ons and accessories for all sorts of things. Flavour Now even though with most gas braai’s you can’t achieve that original smokey braai flavour, it is possible to buy yourself some smoke chips and see what kind of flavour those produce – I have never tried but let me know if you have?. I’ve also read that the fat drippings onto the ceramics of a gas braai do produces some amount if smoke. As to how effective this is I am not sure. Also its important to note that most restaurants use gas and not wood and people don’t complain about that – from a cooking perspective but from a braai perceptive I understand the counter argument. Supply and demand Gas is not always available and as mentioned there have been periods of dogdy batches going around. As the demand for gas increases and people start moving to gas the supply will decreases and even less will be available, although I have never had a problem finding/sourcing gas I have heard about people who have walked into multiple sold out situations. Price Gas braai’s are notoriously more expensive that a charcoal braai and because wood and charcoal and so easy to come by and the price being so low you will invetibaly end of opening more on gas than you would on wood and charcoal. This is debatable though as different amounts and heats are used in different situations so it is quite a generalisation. How much meat, etc. must you braai? How many variations of meat/sides do you have to cook at various temperatures? How good are you at working with wood and charcoal/how much effort are you willing to put in?